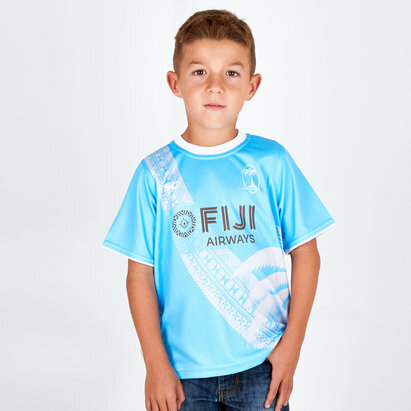 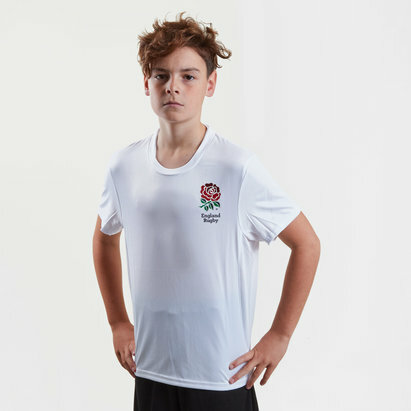 Just like the Fijian 7's team introduce some flair to your game by pulling on the traditionally styled Fiji 7s 2017/18 Kids Rugby Training T-Shirt from ISC. 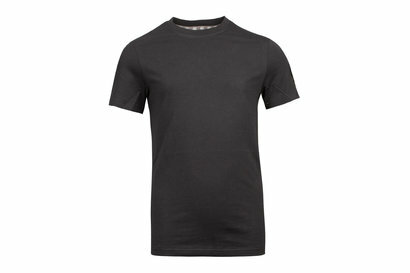 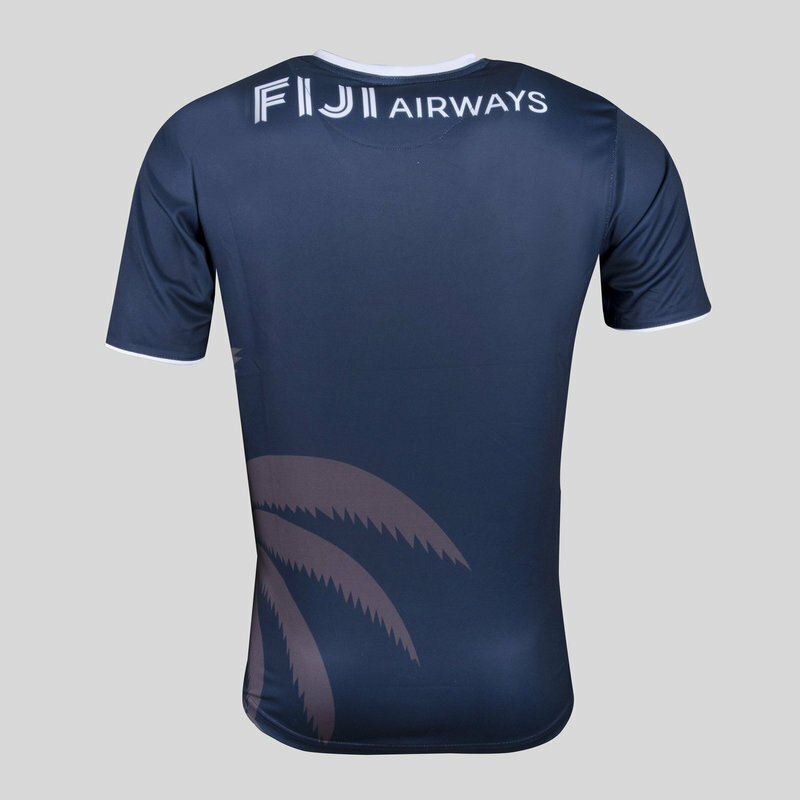 This mens training shirt from Pacific Island team Fiji has been designed to provide optimum performance within your game by keeping you lightweight, comfortable but most importantly, competitive with the use of the state of the art Airtex performance mesh which assists in wicking sweat away from the skin, maximising performance even in some of the harshest conditions. 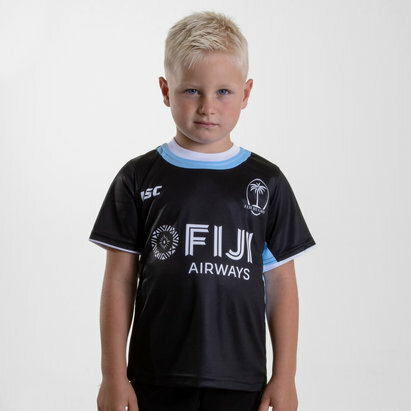 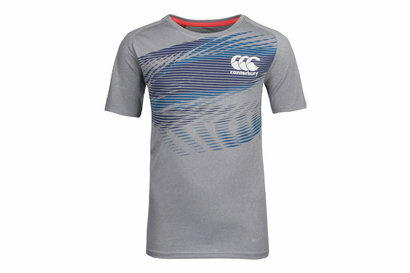 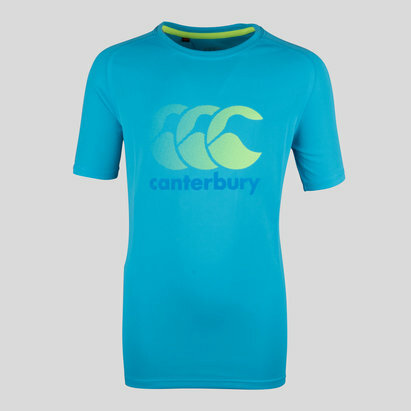 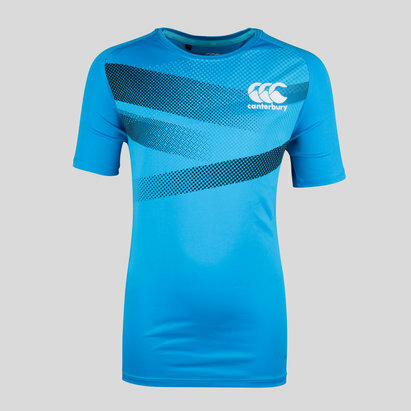 The shirt itself is navy in colour, which touches of Fijian class applied upon the arms and on the front in the form of a sublimated pattern which helps the shirt to stand out on the field and in the gym. 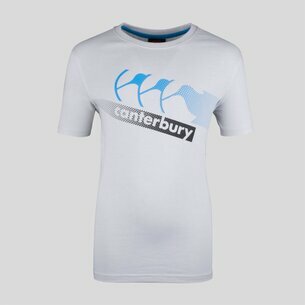 Complete with printed branding, there's no doubting who you support when you turn up in this.